Canonical, the group behind the Ubuntu operating system, have released a mobile version of their OS that is compatible with any Android smartphone, high or low end. Ubuntu is an operating system similar to Android, they are both built on the Linux operating system, and its simple to install the kernel onto an Android device. Canonical want to bring the operating system to mobiles to let users simply manage and sync data between the two devices, as iCloud does. We suspect that with Linux being a mixed package, the group are looking to develop a simple OS, to easily merge users onto the Ubuntu platform. The operating system, in first view, seems to be set up with only swipes and flicks. There are hardly any buttons or menus and you can go through the user interface without pressing or looking through menus. In some first views, the OS is running a little slow and the experience is laggy. Of course, this is just the development stage in a two year project, when Canonical will finally release a smartphone to go with the operating system. By that time, we suspect that Ubuntu for mobile will be in at a good stage, at least functioning without poor performance issues. With the phone sitting on top of the original layer of code, we suspect that could be a reason for lag on the early development versions. You can port Ubuntu mobile OS onto any Android smartphone, as we have said. The OS will look the same no matter what type of phone you have and for low end users, this could be a blessing, getting away from Android Gingerbread. For the actual smartphone though, you will have to wait until 2014 when Canonical release their version. 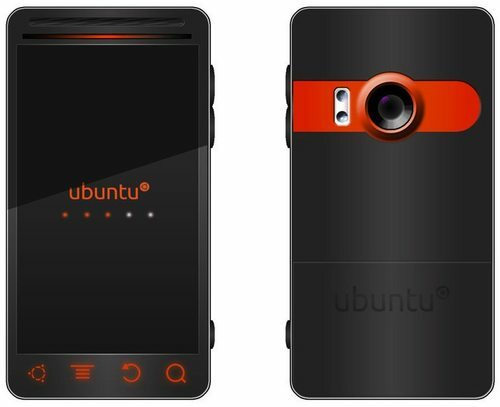 Hopefully the pet project speeds up a little and we see it hit shelves before the end of 2013, but we cannot see the Ubuntu smartphone being rushed.